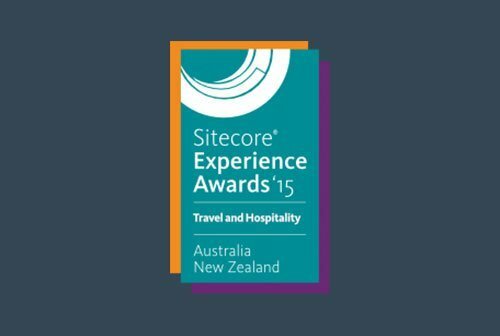 IE is elated to be announced as the Sitecore Experience Award winner for 2015 in the Travel and Hospitality category. Captain’s Choice: welcome to the most luxurious travel experience online. After twenty years of flying the Captain’s Choice flag across all that’s remote, exotic and inspired in travel tours, that experience is now available on this newly created travel destination site. Launched in February of 2015 by Sitecore Partner IE, the new Captain’s Choice Sitecore website is the hub of all tour information for travellers. Because the site has been uniquely designed for the target demographic of Captain’s Choice, 50-75 year-olds, the interface has been optimised for each device size to provide a best-in-class user experience. By putting the customer at the heart of the development and design processes, every interaction on site is designed to assist the user in their purchase decision. The biggest indicator of success is that over 30% of the leads generated by the new “Enquire Now” button on the site have lead to conversions. With such high value products (between $10-50k per tour) in a niche market, every successful guest booking is a major business win. Not only has the site had such successful business metrics, but customers are now enjoying the full extent of the Sitecore Experience Platform. By utilising a scoring system based on the user’s browsing habits while on site, relevant content can be delivered directly to the homepage for return visits. 110% increase in unique page views.